Have you ever inherited a worksheet that someone else set up or you created and haven’t played in for some time? If you need to update the formulas and functions, but do not know what other calculations will be affected you could quickly make a lot of work for yourself! You might also be hunting a miscalculation and need to know where the formula is grabbing data from. Excel offers a simple way to review which cells are both dependent on and depended upon by other cells. The feature is called trace precedents and dependents. Open your workbook to a sheet that contains cells with precedents or dependents. Select the cell in which you want to check precedents and/or dependents. 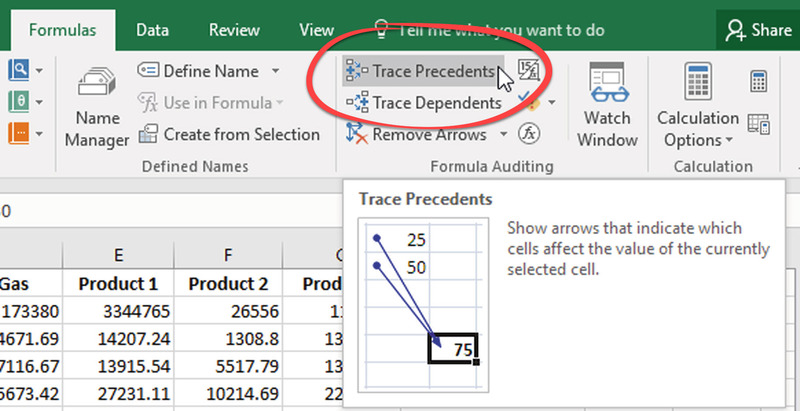 Click the Trace Precedents or Trace Dependents button in the Formula Auditing group of the Formulas tab. 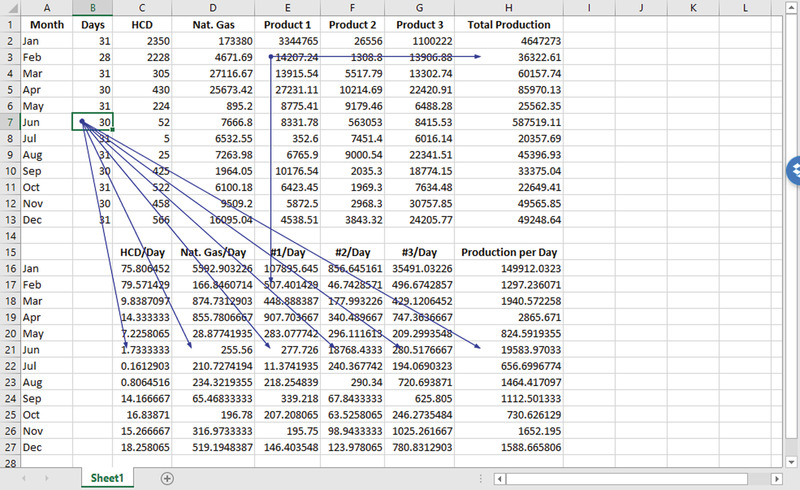 Arrows leading from the selected cell extend and point to those cells that use its data in their calculations. You can now go work on the data in the dependent cells using the arrows for reference. When you are through working with the data for that cell, click the Remove Arrows button to clear all precedent and dependent arrows from the screen. Use trace precedents and dependents to repair formulas and functions, make updates without breaking your spreadsheet, and to quickly visualize all the data impacted by your calculations. Excel PivotTable Percentage: Which Customers Are Costing You A Fortune? What Happened to the Excel Chart Wizard? This was visually helpful. Thanks.